Sweden captain Zlatan Ibrahimovic on Sunday said Manchester United fans will have to wait a little longer before finding out if he will be at Old Trafford next season. “For me in Manchester, there is nothing to say. I feel happy for the moment — what future there will be you will see soon,” Ibrahimovic, who is out of contract at Paris Saint-Germain, told a press conference ahead of Sweden’s Euro 2016 clash with the Republic of Ireland on Monday. The 34-year-old also responded to praise from United legend, and Ireland assistant coach, Roy Keane, who told media this weekend that Ibrahimovic could make a similar impact on the club to French great Eric Cantona two decades ago. Monday’s Group E match at the Stade de France is Sweden’s first of the European Championship before they go on to face Belgium and Italy. 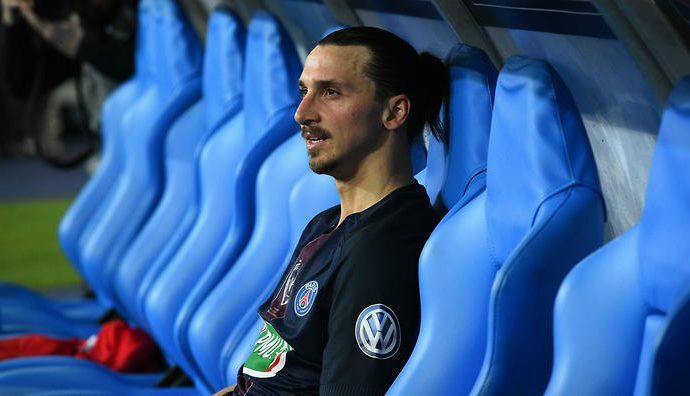 Former AC Milan and Barcelona star Ibrahimovic announced last month that he would be leaving Paris this summer after a highly successful four-year stint at PSG. United last week made Villarreal and Ivory Coast defender Eric Bailly their first signing since the appointment of Jose Mourinho as manager.